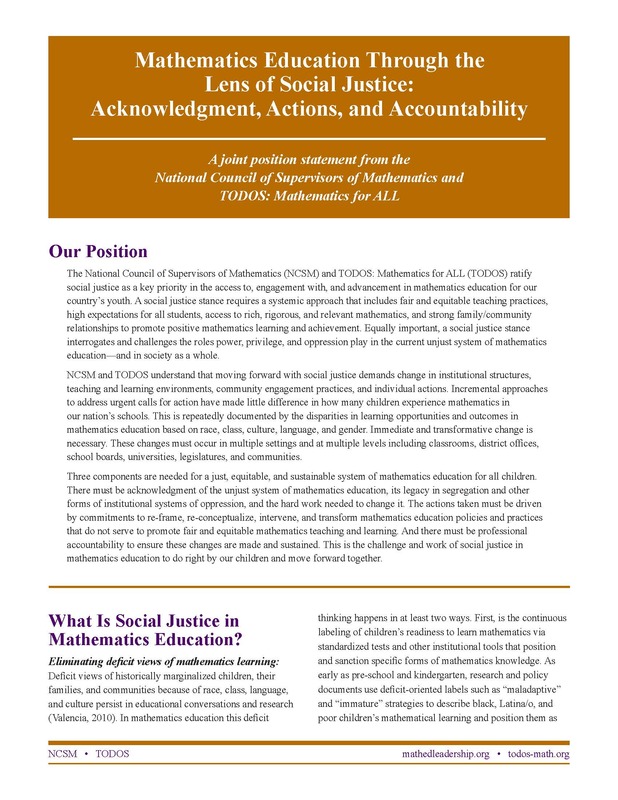 TODOS and NCSM have published a joint position statement on Social Justice in Mathematics. 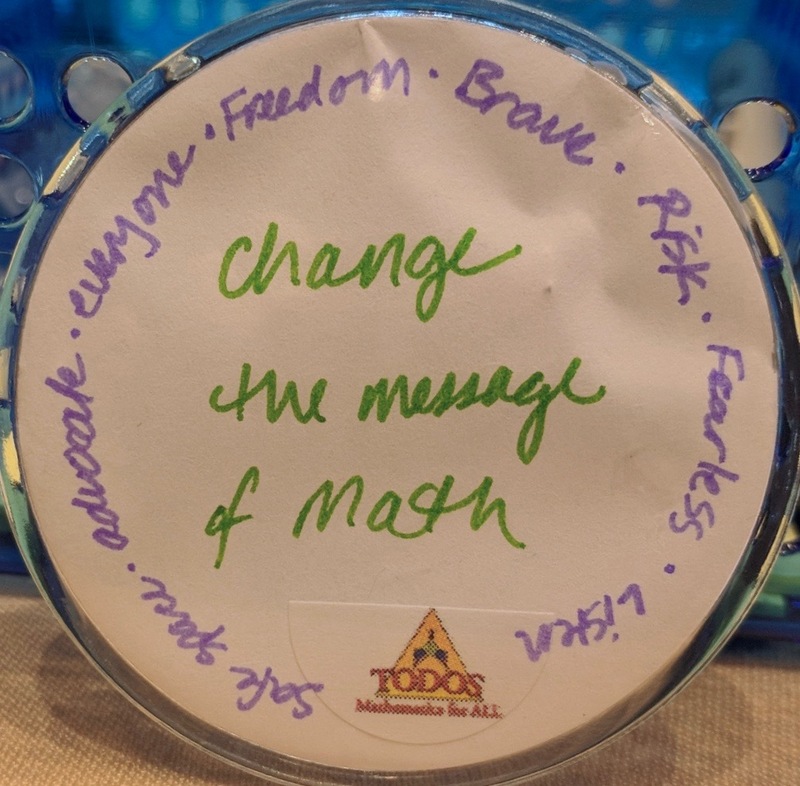 Thanks to ALL for their work on this! TODOS Members can also participate in a discussion circle on this important topic.